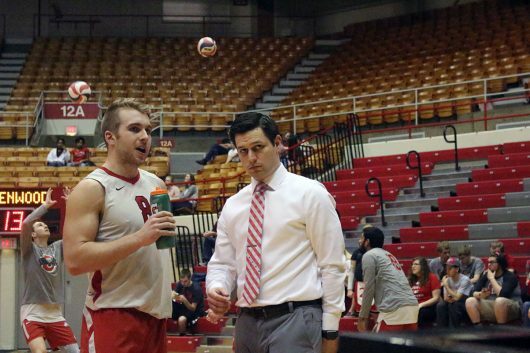 Behind the success of the 40-game win streak of the top-ranked Ohio State men’s volleyball team is a coaching staff that is no stranger to winning national championships, especially assistant coach Kevin Burch. 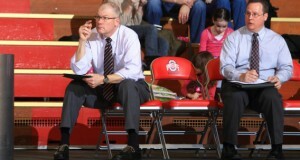 Burch has been a part of a staff that has coached a national championship volleyball team for the past six years, including last year when OSU won the national title. Before Burch became a six-time national championship winning volleyball coach, his journey in the volleyball world started when he was a junior in high school. He went to El Modena High School in Orange, California, where he played soccer and football until he injured himself on the football field. 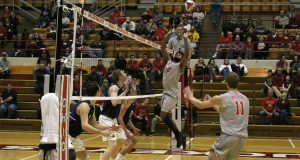 It was at this time that he first discovered men’s volleyball and he began playing after he recovered from his injury in the spring. By the time he graduated, he helped his team win its first league title in 16 years. He had his first coaching job at Foothill High School in Tustin, California. He then left to play volleyball for Orange Coast Community College for a year where he was also a team captain. It was that year, 2008, when Burch knew he wasn’t cut out to play volleyball at a high level, but he wanted to still be involved in the sport. 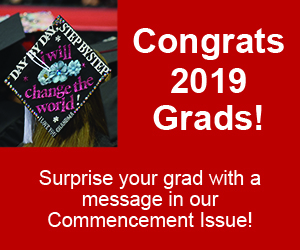 He was then faced with the decision to transfer and was considering OSU, where his grandfather received his bachelor’s, master’s and doctoral degrees. His grandfather, who is an Ohio native, was a huge factor in Burch’s decision to come to OSU. Under the wing of OSU coach Pete Hanson, Burch was promoted to student volunteer assistant coach in his second year in the program. 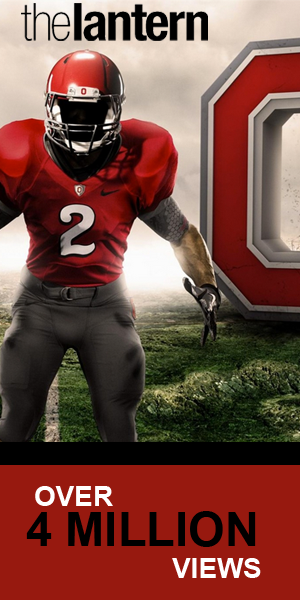 Then in 2011, he helped coach the Buckeyes to a national championship, starting his six-season national title streak. 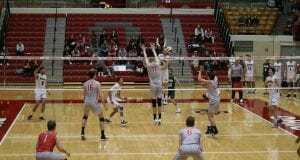 After the 2011 season, he went on to coach the men’s volleyball team at Springfield College, where he held his first collegiate coaching job. The Springfield Pride won the Division III national championship. He then went to the University of California, Irvine to help coach the Anteaters to a men’s national title as an assistant coach. In the 2014 season, he went back to Springfield, where the men’s team won another Division III national championship. After his second stint at Springfield, he went on to the Penn State women’s volleyball coaching staff where he was director of operations. While working under the guidance of legendary volleyball head coach Russ Rose, the Penn State Lady Lions won the 2014 National Championship. 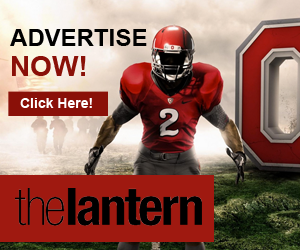 Then, Burch received an offer to come coach the Buckeyes again under Hanson. He began having an impact on the team right away through his scouting efforts, statistical breakdowns and defensive schemes. In the Buckeyes’ championship run last season, Burch worked closely with players, including redshirt sophomore middle blocker Blake Lesson. Burch said his coaching style is heavily influenced by the lessons that his grandfather taught him growing up while he played sports. Even though he grew up in Southern California, Burch still considers Columbus home for him and his wife.